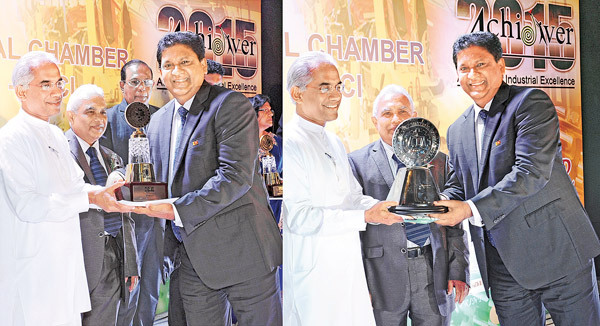 BITUMIX a hundred percent Sri Lanka business entity which is holding the flagship position in the local Bitumen industry recently won the extra large business category National Level Silver award at the Ceylon National Chamber of Industries CNCI achiever’s award. The company was in the top position in the Extra Large category. They also assured a position in the ‘Top Ten’ award. BITUMIX (Private) Limited incorporated in the year 2000 as a manufacturer of Bitumen based products used in the road construction sector later diversified their product range to many other applications in civil engineering, industrial and plantation sectors. BITUMIX, with the technical guidance of the Research and Development division of Road Development Authority of Sri Lanka introduced several valuable Bitumen based products to local road construction industry. The latest product introduced is branded as BITUMIX NANOGRIP 3E is an improved version of 60/70 grade of Bitumen with enhanced binding properties. The binding between hydrophilic Aggregate and hydrophobic Bitumen plays a major role in the total quality of Asphalt paving. This issue is successfully addressed by incorporating a nano-tech Silane type crosslink using technology sourced from a reputed product developer in the USA. BITUMIX is looking forward to serve the road construction and clients in other market segments with high quality products and dedicated customer service while continuously improving the technology.